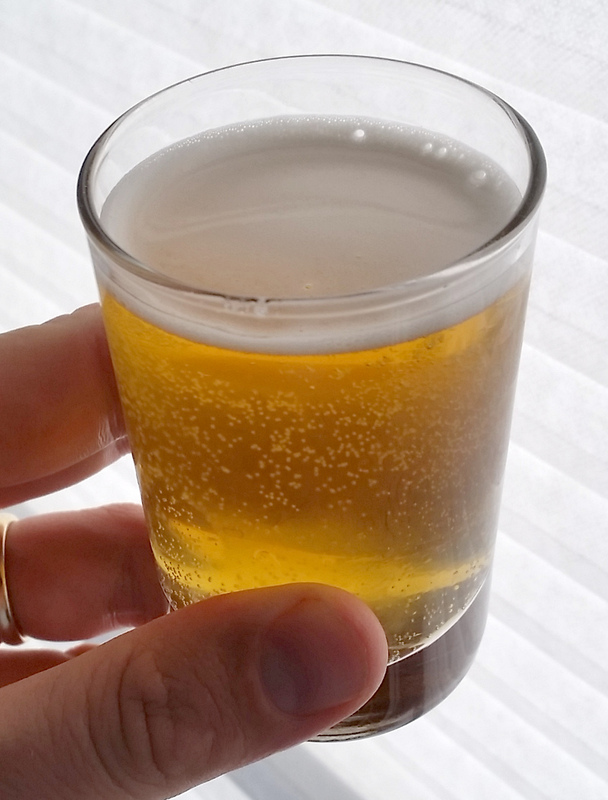 My Summer Blonde Ale 1.1 has been carbonating and conditioning in the keg for the past month, so now is as good of a time as any to sample it. We’ve really been enjoying this beer, and I think it’s definitely earned its place as a “go-to” summer recipe. Clear (but not brilliant), light golden color; fine and fairly persistent white head. Lightly malty and ever so slightly fruity. Smooth and very lightly fruity maltiness; a delicate bitterness but certainly not prominent on that end. Medium carbonation, within bounds for the style; a light and smooth body with a nice light finish (just a hint of malt and hops). Certainly! This is my second iteration of the recipe (and first one to be kegged). Pretty much everything about it is spot-on as an easy-drinking summer beer. It also got pretty good marks at the recent homebrew club meeting, so I’ll count that as a positive too. This entry was posted in blonde ale and tagged summer blonde ale. Bookmark the permalink.